The Best medium-duty bars are manufactured from high quality white pine . 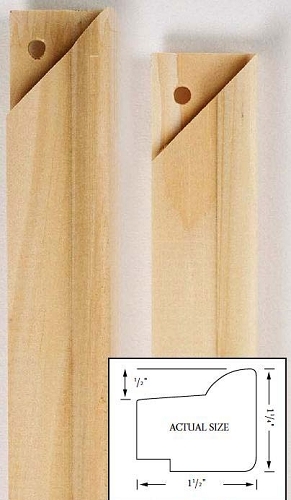 Extremely useful in smaller paintings,These bars can save you money and make framing a little easier.1.25 inches on side width.Individually Priced. 40% off List Price Sold Individually takes 4 bars to make one frame.